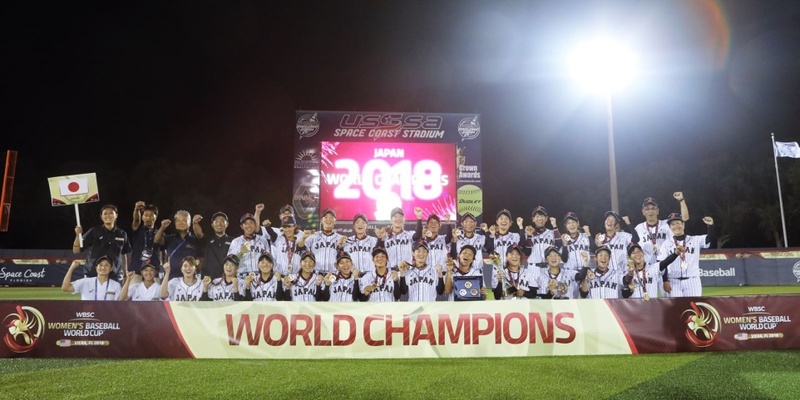 VIERA, Florida -- The Women's National Baseball of Japan shut out Chinese Taipei, 6-0, in the Final of the VIII WBSC Women's Baseball World Cup® at the USSSA Space Coast Complex in Viera, Florida, Friday night. Japan star Ayami Sato -- considered the top female pitcher in the world -- went five innings in the world championship finale to earn the win and record her third Most Valuable Player (MVP) honour. The win extended Japan's World Cup win-streak to an unprecedented 30 games. The second-place finish for Chinese Taipei marks the first time the nation has ever medalled in eight editions of the Women's Baseball World Cup. In the bronze medal match, the Canadian Women's National Baseball Team topped the United States in a thrilling, 8-5, extra-innings victory. Millions of viewers from over 190 countries and territories followed the online coverage of the Women's Baseball World Cup in Viera. The next edition of the Women's Baseball World Cup will be held in 2020.